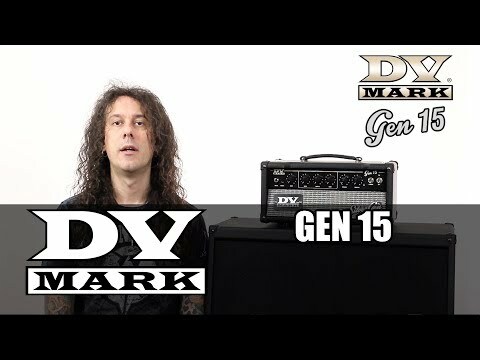 The DV GEN 15 is an addictive 15W class A all-tube head of DV Mark Silver Generation Series, that will charm you with its vintage personality,incredible headroom (more than expected from a 15W amp) and impress you with its amazing full sound-tone, its versatility, feel and reliable performance. The controls of the DV GEN 15 are simple and very effective. It features the same cutting-edge technology, build quality and top-quality components as in our bigger heads, offering a wide range of tonal colours.This amp features the next generation of digital reverb, it's sweet-sounding, warm and natural. All-tube heads have always been heavy, the DV GEN 15 allows you to get a killer valve-tone at a fraction of the weight you'd expect… it only weights 12.57 lbs. (5.7 Kg). Ideal for recording,rehearsing, club gigs and more! Australian Guitar magazine reviews the DV Gen 15. May 2, 2017, 2:35 p.m.
Current issue of Australian Guitar magazine includes a nice review of the DV Gen 15. Bonedo tested the DV GEN 15 head. Feb. 1, 2017, 11:54 a.m.
Germany web-magazine tested the DV GEN 15 all-tube head giving it 4.5/5 stars. Mixdown magazine reviews the DV GEN 15. May 10, 2016, 8:39 a.m.
Australia's Mixdown have reviewed the DV GEN 15 Silver Generation 15W class A all-tube head in their May issue , saying it makes a set of promises and delivers them! <br> Misses: NONE!